This is one of the best recipes I've made in a long time! It is quick and easy enough for a weeknight, and makes fantastic leftovers. 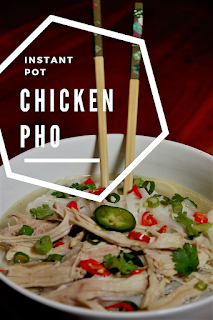 Usually when I make or order phở it is made with a rich, spicy beef broth, but Phở Gà or Chicken Pho is also very common. The gingery broth is an amazing complement to the chicken. 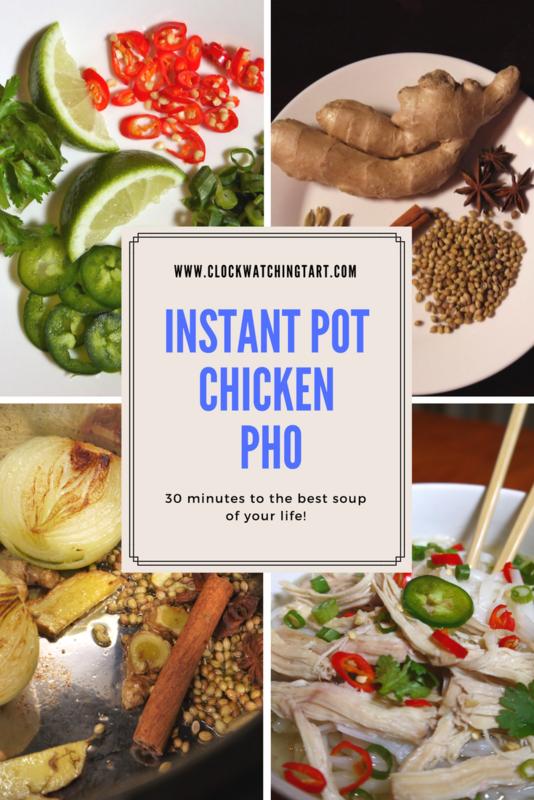 Using the Instant Pot makes this dish so quick and easy. I also love the way the pressure cooker makes such a lovely, clear broth. The most time-consuming part was gathering the spices. This recipe is adapted from Epicurious. It will serve 6 as a meal. Leftovers are even better the next day and the broth freezes beautifully. Push the "Saute" button on the Instant Pot. When the pot is hot, add the oil. Place the onions, cut side down in the pot and add the ginger. Cook without stirring for 4-5 minutes until charred. Add the corriander, cardamom, star anise, cinnamon and cloves. Stir for 1 minute. Add the chicken, fish sauce, sugar and water. 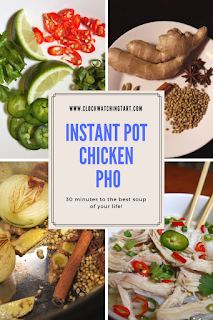 Place the lid on the Instant Pot and lock it. Press the "Manual" button and set the time for 17 minutes at high pressure. It will take about 30 minutes in total for the soup to come to pressure and cook. Once done, let the pressure naturally release for 10 minutes, then turn the vent to release remaining pressure. While pressure is releasing, cook the rice noodles according to package directions. Once the pressure is released, remove the chicken to a large bowl. Strain the broth into a large bowl or measuring cup, discarding solids. Skim fat from the top of the broth. Season the broth with salt and pepper to taste. Carefully remove the chicken from the bones and discard the skin and bones. Shred the chicken. 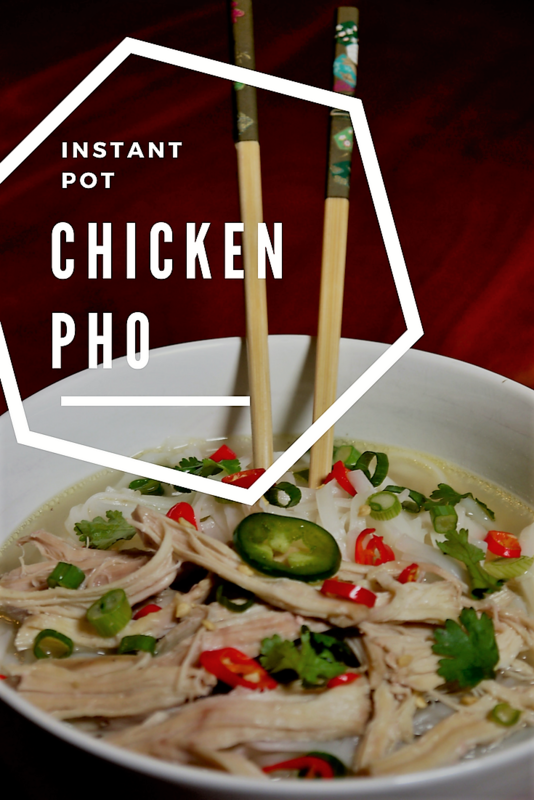 Place noodles and chicken into individual bowls. Top with hot broth. Each person can add their own herbs, chilis, lime and green onions to their bowl to their own taste. This soup tastes amazing. You will love it!